The Hispanic community lost one of its finest advocates on Saturday with the passing of Adelfa Botello Callejo. 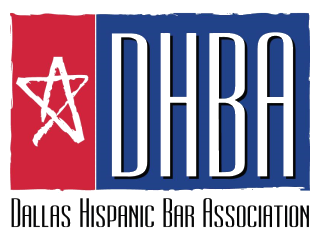 Callejo was one of the founding members of the predecessor organization to the Dallas Hispanic Bar Association (DHBA), the Mexican American Bar Association of Dallas. Callejo was a kind, generous soul who was always willing to give her support to individuals in need. But her legacy is much greater than that. She advocated tirelessly for changes intended to give Hispanics the tools needed to lift ourselves up and succeed. She laid the foundation for many of us to achieve, and we mourn the loss of a leader, a mentor, and a role model. The DHBA was honored to present Callejo with its “La Luz” award in 2010, an award given to those who are trailblazers in lighting the path for Hispanics in the legal profession. The DHBA continues to support an organization founded by Callejo, Partners Against Crime and Drugs, by helping sponsor families every holiday season. She has left us now, but each of us can honor her every day by remembering and embodying the values for which she stood. Her tireless efforts have laid the foundation for us to continue our mission in her absence. Rest in peace, Adelfa Callejo. Callejo’s funeral was held on Thursday, Jan. 30, 2014 at La Virgen de Guadalupe Cathedral on Ross Avenue. The service was celebrated by Bishop Kevin Farrell. Following the funeral, Callejo’s family departed with her body for a private family burial. See information below regarding a community event held jointly by Dallas Hispanic organizations to honor Adelfa. The Adelante con Adelfa Host Committee organized a community memorial entitled Adelante con Adelfa (Moving Forward with Adelfa) to honor the work of Adelfa Callejo held on Tuesday January 28, 2014 at the Latino Cultural Center in Dallas. The community gathered together to share thoughts and memories, participate in an open mic session, and leave a written notes that were delivered to family members. Adelfa Callejo, an unyielding advocate, a tireless leader and a sympathetic peacemaker who fought for ethnic and gender equality passed away on Saturday, January 25, 2014, and Dallas is in mourning. “Adelfa Callejo was perhaps the only person who could bring such a diverse group of business, political and community leaders to rally around issues important to our community. She was respected. She had a track record of success and she was compassionate about the issues that still today confront Hispanics, not only in Texas, but throughout the United States. We continue, but a big void in the activist world will be felt…,” Carlos Quintanilla, President of Accion America. “I had the privilege to be mentored by my tia, Adelfa Callejo, for over 40 years, both in community service and in business. She demonstrated to all of us the power of implementation through action. She taught us to take risks for our principles, philosophies, and ideals. Adelfa taught us that protest is not negative, but positive. That through protest we come to understand ourselves and fight for the honor of our beliefs. And, THAT, is the essence of our democracy, Michael A. Gonzales, nephew of Adelfa Callejo. “One must remember that Adelfa Callejo became a strong advocate on major issues affecting Hispanics when it was not popular, when the numbers were not there and when very few females were engaged in leadership positions. She was a catalyst for change and the influence of her work can be seen through progress in immigration reform, educational advancements, and political leadership. I am in a somber mood from this loss.” said Hector Flores, past National President of LULAC. “Adelfa Callejo was able to move beyond barrio politics, reaching out to the established business and political leaders. She was able to articulate the concerns of Hispanics with confidence and intelligence; and she was knowledgeable about the plight of the most disadvantaged. She could speak to Governors and Mayors. Presidential hopefuls sought her out. She was truly an amazing woman who will be missed,” said Diana Flores, DCCCD Board Trustee. “Adelfa Botello Callejo tirelessly reminded us that speaking up against injustice was always a pressing matter. I will forever miss her passionate voice,” said the Honorable Paula Rosales Aldana. “She has set the bar for future generations of community leaders and activists. We have lost our “Madrina”…our Godmother and spiritual leader. Adelfa B. Callejo will never be replaced,” Marcos G. Ronquillo, former law partner, Callejo, Callejo and Ronquillo (1983 to 1986). “As a Latina attorney in Dallas, and as Adelfa’s niece by marriage, I am devastated both professionally and personally by the void that has been left by the loss of such a tremendous force. She was and will forever remain an inspiration to generations of students and young professionals. She was brave enough to shove open the doors that had been closed to ethnic minorities. We must honor her legacy by continuing to walk through them, by continuing to help each other walk through them, and by, ourselves, shoving through the ones that we still find closed,” said Stephanie V. Gonzales, Attorney at Law. “As a community we still have far to go, but through the work of Adelfa Callejo we have gotten closer to that elusive mountain top that has been so distant to our community. We are a new generation of leaders and Activists who must finish what she started,” said Sylvia Lagos, former Chair La Voz del Anciano. “Adelfa Callejo will be missed and thank you our dear friend for a job well done,” Gil Cerda, former spokesperson for the Dallas Police Department.